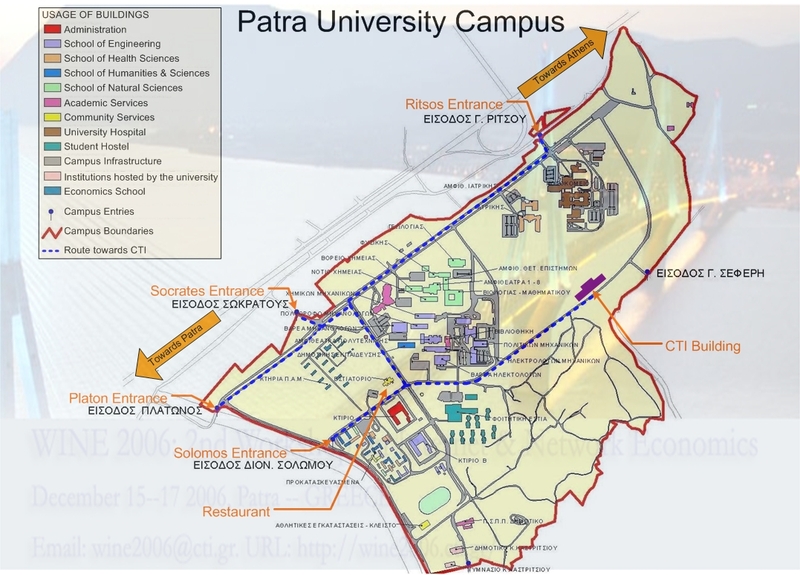 The 2nd edition of WINE will be hosted at the new building of the Research Academic Computer Technology Institute, located at the campus of the University of Patra. Here is how you can find CTI in the university campus. 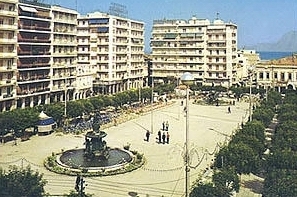 Patra is the main city of Western Greece, on the northwestern coast of Peloponnesus. 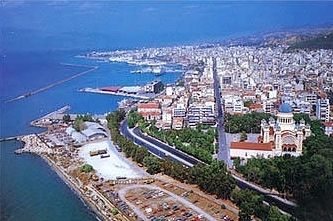 It is the third largest city in Greece and has always been the major sea port connecting Greece with Italy. 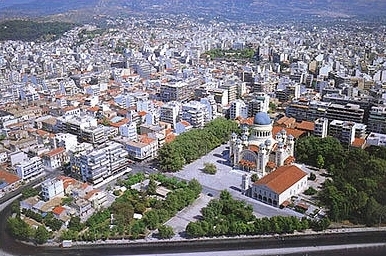 It is also the Cultural Capital of Europe for the year 2006. The important archeological sites of Olympia and Delphi are close to the city (located at 90Km and 115 Km away). 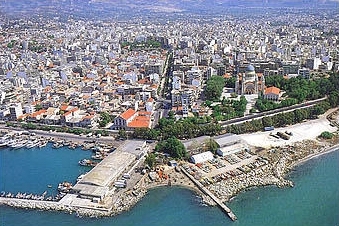 You may also enjoy a virtual tour of Patra. 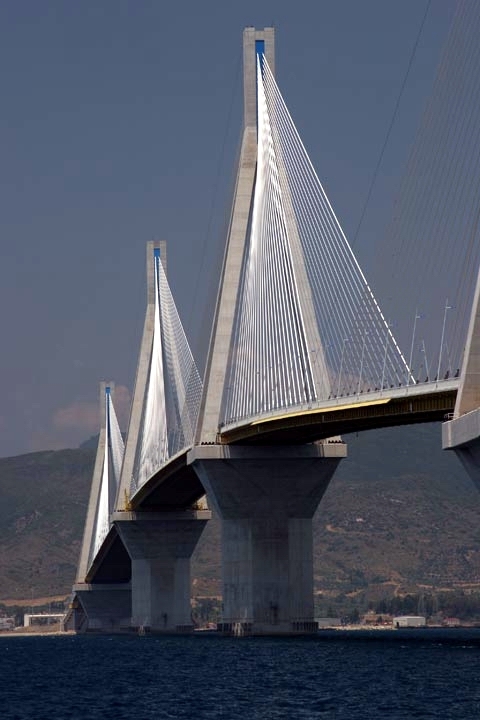 The Charilaos Trikoupis suspended bridge connects Patra to the rest of the western mainland of Greece. It is currently the longest suspended bridge in the world and an impressive technological feat, given the adverse physical features of the environment (strong winds, strong seismic activity etc.). The bridge is also a beautiful sight (and a nice walk for the hiking lovers), especially in the night. You may find more information about the bridge in wikipedia. 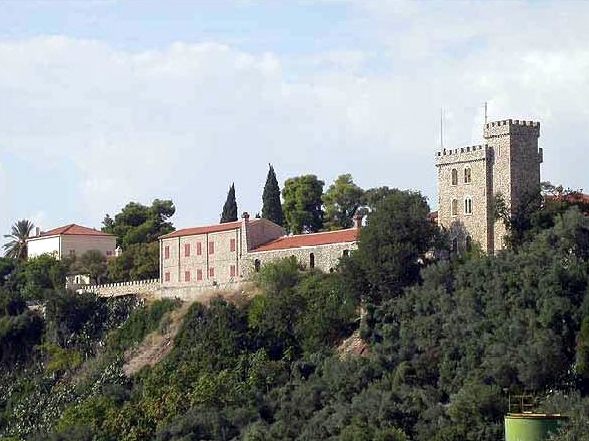 Our plan for WINE 2006 is to have on Day 2 (December 16) a half-day excursion the Achaia Clauss Chateau, as well as a WINE testing event at the facilities of this castle. The Chateau of Achaia Clauss stands in a suburb of Patra, around 10 km from the city centre. It is the first Greek winery, that was built in 1861. It still produces some of the finest Greek wines. A short guided tour will allow us to admire the beautiful wine yards, the quite impressive old stone buildings and the curved oak barrels, dating from 1873 in which the world famous Maurodaphne wine is aged. The tasteful kind of sweet red wine is served for free and we can take pictures of the whole city of Patra from the castle’s balconies. On Saturday evening (December 16), we shall also organize a banquet for the workshop participants. More information will be provided in the future. Site maintenance: Spyros Kontogiannis. Last update: 04/12/2006.